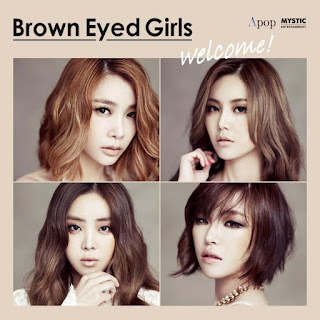 Brown Eyed Girls has officially moved to MYSTIC Entertainment's sub-label, APOP Entertainment. The girl group was active under Nega Network between 2006 to August 2015. Ga In was previously signed on the label due to her solo activities. This time around; JeA, Miryo and Narsha join her as well. It's been revealed Brown Eyed Girls will also release a new album in October; the first in two years. Back in August, the group members stood without a contract once their contract with Nega Network ended. Luckily, they were quickly signed on with APOP Entertainment. APOP Entertainment also have Former MBLAQ member Thunder, also known as Park Sang Hyun, under their roof.